Soulful: Game of Hormones - My stint with postpartum blues and lets face it, we take it for granted!! 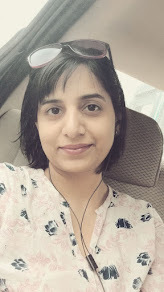 Game of Hormones - My stint with postpartum blues and lets face it, we take it for granted!! I try to only write about my positive outlook that I develop during life experiences. But I have to get out of my system this negative phase that I have undergone now two times in my life. Because I know it is common and yet, not very talked about generally or taken very lightly. They all say keep an expecting mom happy. Surround her with only positive talks. The would be Mommy is advised to read good books, listen to good music. Even strangers and not so pleasant people are polite as soon as the bump is visible. The unborn baby is respected everywhere. As soon as the baby is born the same is required. But here the difference is some people might understand this and some may not. To the some who does not understand, I dedicate my this post to you. I was very happy about expecting my babies both times. The very thought that soon a little soft coochy coo will be in my arms would make me excited about the time to come and make the whole process worth while. What I imagined I would be after delivery was completely different than reality. The reality literally bites!! The first time I faced my people after a last moment decision of having a C-section , I broke down. That was the one thing that I didn't expect. I wanted to hug tightly each one present in my room and shout on top of my lungs to tell what they had to do and what has happened to my body. The body healed in time but then I would cry again. And again. And again until I realized that instead of being happy which I thought I would be, I was actually sad and gloomy. Reasons would vary but end result would be same. Terrible emotional outbursts and lot of tears. My baby, who was so beautiful that I could have never even imagined and I loved her but whether I enjoyed looking after her then no, as I was also scared of such tiny creature who was totally dependent on me. Nobody told me what was happening to me. The breastfeeding part was horrible along with the sleepless nights for the first 4 weeks. It was too much to handle my own body already and I was also responsible now for the little one who couldn't even see properly. Though there were moments of joy, but yes as later I realized, I was having postpartum blues being overwhelmed with so much happening in so little time. Whether it was depression I can't tell now but definitely it bordered to that. In time, as I trained myself with the support of my family, I became better and happier enjoying life to its fullest, joining back office and able to do what makes me happy - painting and writing. I had taken notes from my first experience so I expected to perform better during my second though there was a 3 year gap between the two. I was excited about my baby, a family life with two kids that I had always dreamed of. Everything went as per our plans during delivery. It was a happy one. I was as calm and composed as sea. The moment they brought my daughter to me, I fell in love with her instantly. I still remember those two kiss I planted on her little cheeks and immediately the crying baby calmed down to my amazement. I was smiling on the operation table. Two kids, two girls, two sisters for life- that's how my world is - wow, I thought. The moment they brought me back to my room, I faced my husband with a geeky smile and congratulated him as opposed to last time when everybody was congratulating a crying me. It started suddenly the second day. As I looked at my little one's angelic face, I remembered my elder one and how I have been enjoying motherhood because of her. A guilt suddenly passed through me. What did I do? My elder one is no more exclusive. Our love on which she had sole right till now is distributed. As I look back, I can see how silly it sounds especially because my elder one is the reason why we planned our second. To give her the privilege of having a sibling. Yet, that time the chemical changes didn't allow this reason to work. I started crying as I heard her voice on a phone call. I was a different person crying every now and then when alone. I still don't recognize who that person was. And with a new life as a constant company, I had no time to fix this. The breastfeeding part still had issues. Although it was my second baby, yet I could see how I had forgotten little things regarding infancy and a new mother's body in the roller coaster ride of bringing up my first one. There are multiple factors contributing to this. It is a big change for a new mother inside and out. But mainly, the surge of hormones during pregnancy (yes, those mischievious hormones at it again!!) and a sudden drop after delivery in a woman's body give rise to volcanoes of emotions that erupts frequently in the form of anger, dejection or depression. The first few months of a baby (precisely every 3 months till 2 years) are very dynamic. After that the stage of a toddler is completely different world. By this time most people, including mothers tend to forget what they went through during the first few months. It is here the problem lies. Why I am coming out with my story is because I have experienced some really unkind behaviors during this time. I guess, this is the time when many issues also happen between a women and her relatives or friends. Everyone wants to talk to the new mother. Everyone wants to see and hold the new baby. Everyone wants to know how is she handling it. And many doesn't care that the first 3 months especially the initial 45 days after delivery, a woman is very vulnerable emotionally. It is this time where both mom and her baby need the best of comfort everyone can possibly provide. And that includes not talking/gossiping much in front of the mother and let the mother be to herself. Let her be the best judge of whether or whom she wants to listen or speak or ask for any advice. Just like during her pregnancy days, she needs to be only in a positive environment. Loose talks like unsolicited advice, discussions on delivery methods, gender of a child, breastfeeding etc are not at all healthy for her. In fact, this is the time when many women form a negative opinion about people around her especially other women. Believe me, any unpleasant experience and it can stay with her for a lifetime. In my own circle, I was surprised to see that we women tend to forget this and feel excited to share our own good or bitter experiences with a new mom. Wait, she will join you in this conversation but after a year! Yes, it takes not 45 days but a year for a woman's body and mind to heal from pregnancy and its after effects. So be gentle, kind and compassionate to her. The best thing that can happen to a woman facing postpartum depression is having someone who is a patient listener. And the worst thing is getting struck with someone who is not. A bad experience that I had!! If you feel you are frequently sad, depressed talk it out with people who are caring enough to give you enough space and not judgmental. Yes, do not go ahead with just anybody as it can only make it worse. But do talk. Things like shopping, listening to nice music, getting massage (with due permission from your practitioner) also might help you to snap out of it. But if nothing works then it is best you seek a professional help. In extreme cases, medicines might be the only solution. My personal experience and the experiences of many of my acquaintances have proved to me that having postpartum blues is fairly common especially in present times when technology has invaded our privacy and women are more independent. So common that people especially fellow women tend to ignore it (Its not a big deal, even I faced it, attitude!!) or worse they criticize (she is not a strong person!!) or make fun of those who suffer from it (heard lot of women mood swings related jokes from men!) But it is not fair. It is not easy to carry the burden as heavy as a new Mom does. And still, she tries to be in control. So strong she is. This might take a toll on her own mental health and so we must be as much supportive as we can be and abstain from causing any kind displeasure to a new mother. If you have suffered from PPD or blues and want to share your experience to bring awareness, please do add it in comments or do mail me if you want me to publish it on my blog anonymously. I would be happy to share your story with my readers.